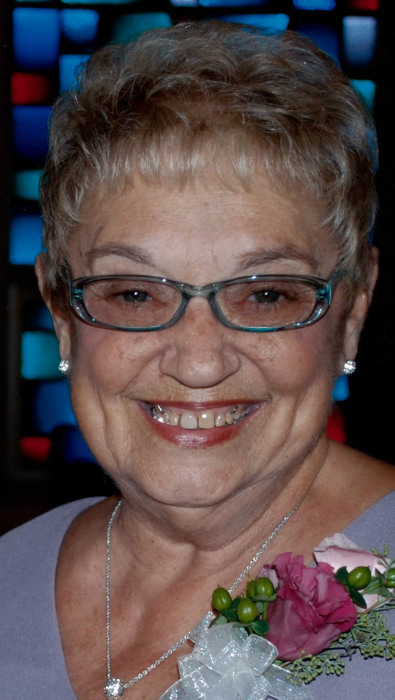 Kay Beth Adkins, 72, of Hawesville died peacefully in her home surrounded by her loving family on April 8, 2019. Kay was born on June 17, 1946 to the late Griffin and Louise “Raley” Gorman. Kay was a member of Hawesville United Methodist Church. She and her husband ran Tri-Star Construction Company together for many years. Kay was a founding member of the Parks and Recreation board at Vastwood. She enjoyed reading, playing cards, and spending time with her Bunco ladies. Kay’s family was the light of her life. She enjoyed her grandchildren and great-grandchildren more than life itself. Kay was preceded in death by her devoted husband Samuel Porter Adkins and infant twins. Survivors include her children: Tony and Cheri Adkins, Steve and Cindy Adkins, Ronna Ogle, Samantha Adkins and Wendy Ohlman. Grandchildren: Whitney (Matt) Gray, Vanessa (Brody) Cox, Courtney (Nathan) West, Jessica Adkins, Kaylen (Nick) Eschenbach, Sara (Nick) Zoglmann, Kristen Ogle, & Hannah Adkins. Her sweet sugar babies (great-grandchildren): Haidyn and Mason Gray; Sy, Emma, and Will Cox; Sam and Ava West; Claire Zoglmann. Kay was also survived by her loving brother and sister-in-law/best friend Roy Glenn and Donna Gorman, nephews whom she adored Glenny Gorman and Scott (Dana) Gorman, and many great-nieces and nephews. Services are at 11:00 am Thursday April 11, 2019 at Hawesville United Methodist Church with burial following in Serenity Hills. Kay’s family will greet friends on Wednesday from 3 to 8pm and Thursday from 8 to 10:30am at Gibson & Son Funeral Home, Hawesville. In lieu of flowers donations can be made in Kay’s name to Hospice of Western Kentucky.